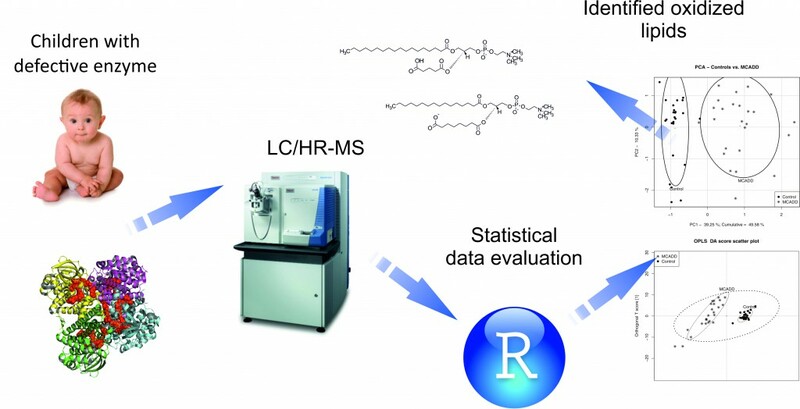 We are offering untargeted and targeted metabolomics platforms based on LC-MS and GC-MS for metabolomics in clinical and biological research. We are team of analytical chemists, biochemists and statisticians works together to solve complex asks of metabolomics fields. We are working more than 20 years in clinical chemistry and inborn errors of metabolism with focus to complex multi-component analyses of metabolites in biofluids and cells. Thanks to our experiences we are able to identify and confirm metabolic biomarkers, helps to understand changes in biochemical pathways of biofluids and cells or tissue. Please do not hesitate to contact us with your request.